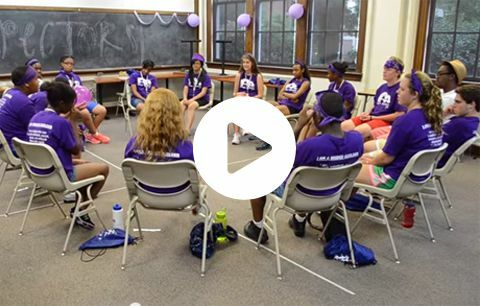 Unlike any organization in the Mid-South region, BRIDGES provides students an opportunity to find their voice through unique experiential learning activities that are adventurous, relational and transformative. As a result, participants are empowered to reach across racial and socio-economic divides, are prepared for secondary educational opportunities and careers, and are engaged in civic affairs in their communities. BRIDGES unites and inspires diverse young people to become confident and courageous leaders committed to community transformation. An active physical experience can help young people – and adults – understand and believe they can do all kinds of things. The primary purpose of the BRIDGES Center is to be an adventurous and safe learning space for young people. With the support of the Team BRIDGES staff, youth participants are provided with an experiential learning adventure. Inclusion and respect for diversity are at the heart of the BRIDGES experience, and there are endless stories of friendships forged among young people who come together from every neighborhood in the community and from vastly different backgrounds – friendships that often last into adulthood. 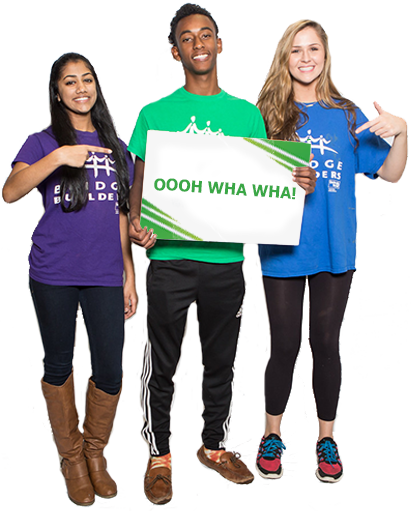 At the core of BRIDGES is the Bridge Builders program, a youth leadership and diversity training program characterized by transformation. This transformation can take place over time or it can be sudden and life changing for participants.